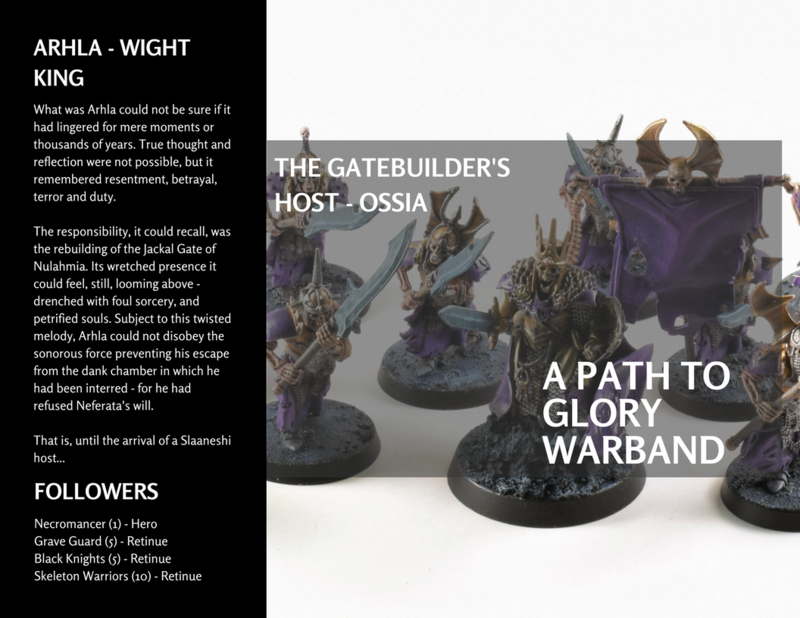 Our local Warhammer store is running a Path to Glory narrative campaign for Malign Portents. Neither of us has played many games lately, but we thought it’d be great to try this out without worrying about needing too many units or much list building. If we keep up with this (we’ll see! ), there’re a few rounds to play over the next 10 weeks. Our first game will be against each other this Saturday. She has been hurriedly building the rest of her Kharadron in time for Saturday’s game! 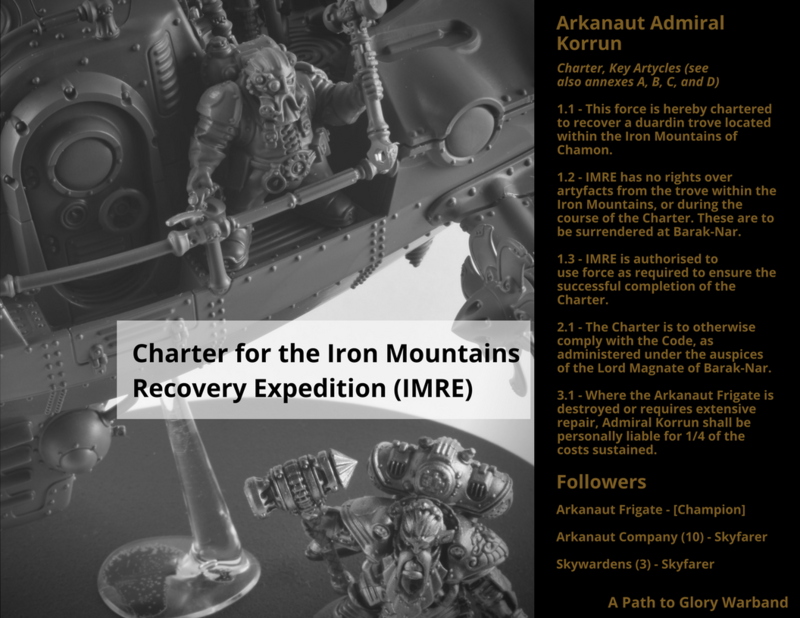 Starting in the Realm of Chamon for the campaign, it’s possible the Iron Mountains expedition may end up following unexpected threads. I decided not to take Morghast Archai as I felt they might be a bit harsh for some Warbands. Worried about her Frigate though. My leader’s narrative is the same origin story I posted here a while ago, taking place amidst the events of Lord of Undeath.